Here's another upcoming Android smartphone that my cousin and I saw at SM Manila CyberZone last Friday - June 23, 2017. 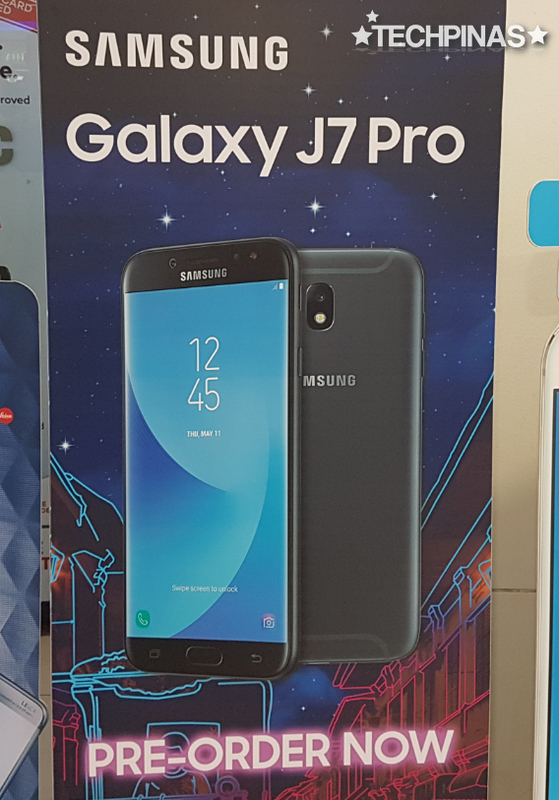 Samsung Galaxy J7 Pro, which is now available for pre-order at Samsung Concept Stores and select partner retailers across the Philippines - is a midrange handset with a svelte real-metal shell and good selfie-centric features. According to the sales representative that I talked to regarding this model, the SGJ7Pro will sell for Php 15,990, which puts it in direct competition with a handful of mid-level Android releases by Chinese brands, to be specific OPPO and Vivo. For that amount, consumers can already get a well-designed daily driver with a decent set of technical specifications and fairly reliable imaging capabilities. Looks-wise, the handset flaunts a design language that's similar to other J-Series models this year. The phone's unibody shell is crafted from anodized aluminum and the face is 2.5D Curved Scratch-Resistant glass. At the back, you'll find U-shaped antenna bands along with the small oblong camera module, which serve as identifying physical characteristics of this line. 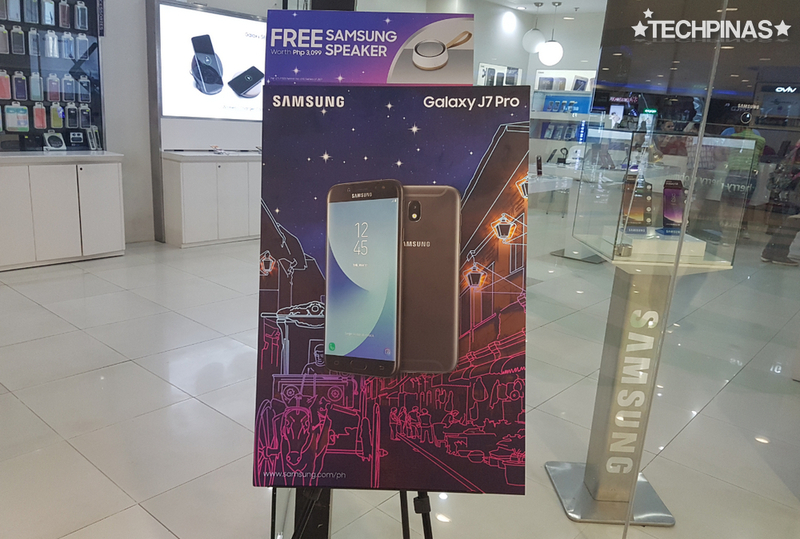 As for specs, Samsung Galaxy J7 Pro is equipped with a 5.5-inch Full HD SuperAMOLED display panel, a 13 MegaPixel PDAF f/1.7 rear camera with LED flash, 13 MegaPixel f/1.9 front cam with Soft LED flash and Beautification Mode, Dual SIM Dual Standby capability, 4G LTE support, and a non-removable 3,600 mAh Li-Ion battery pack. 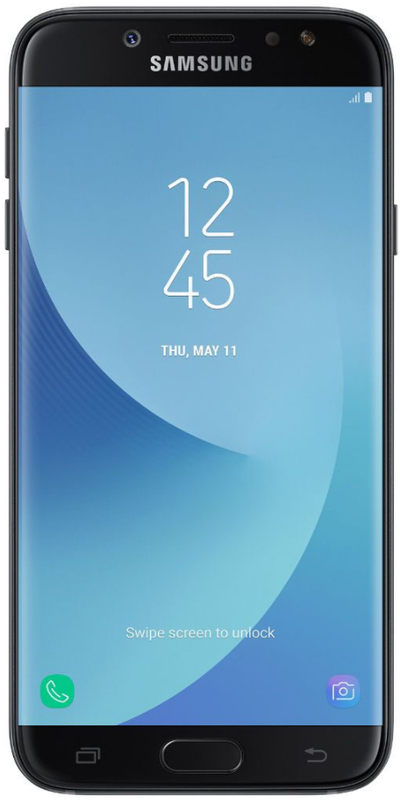 Inside, this device runs its TouchWiz-Grace-UX-flavored Android 7.0 Nougat operating system with a 64-Bit Octa Core 1.6 GHz ARM Cortex-A53 and Mali-T830 MP2 GPU based Exynos 7870 Octa chipset, has 3GB of RAM for multi-tasking, and comes with 32GB of internal storage that can easily be augmented using the microSD memory expansion slot. 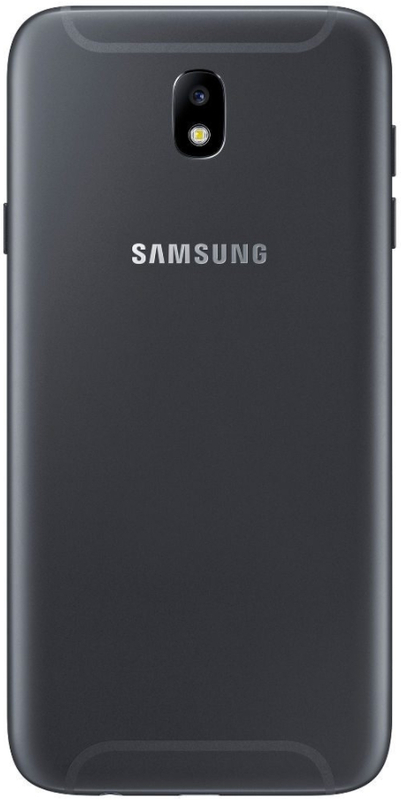 Just from looking at its technical specifications - to be specific, the SuperAMOLED display, the wide aperture front and back cameras, and the large storage space, Samsung Galaxy J7 Pro - I believe - is a pretty compelling offer at its price point. Of course, you also have to consider how good it looks. For those who are interested, SGJ7Pro should be up for purchase at online stores and malls across the archipelago starting next month, July 2017. I was told that the smartphone will be out in two colors, namely, Black and Gold.